Instructor User Guide LessonsHow do I delete a top-level Lessons page? Deleting a lessons page is a two-part process. 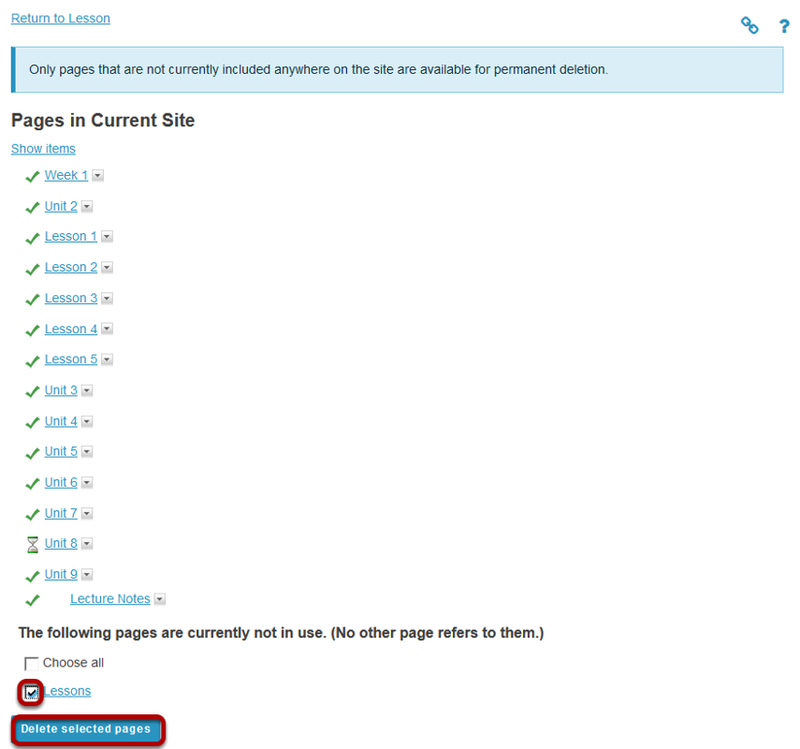 First, you must remove the Lessons page from the Tool Menu or page link, and then you can delete it from the site. Click on the Lessons Page Title (e.g. Unit #2) to display the page you want to delete. 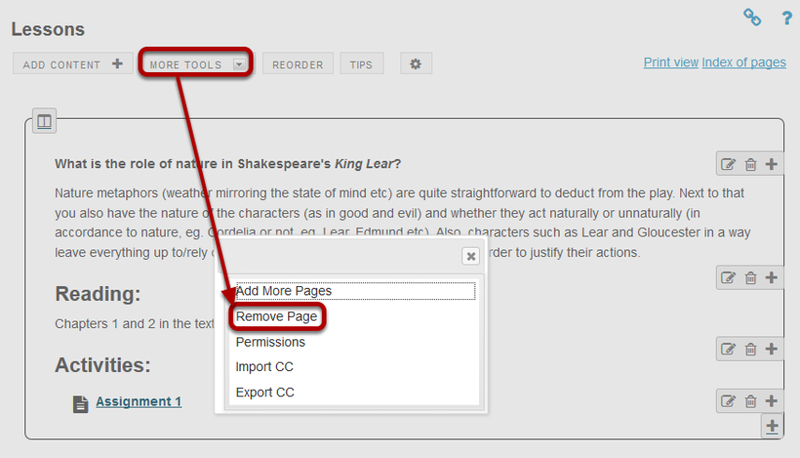 Click More Tools, then Remove Page. Zoom: Click More Tools, then Remove Page. From the More Tools drop-down menu, select Remove Page. This removes the page from the Tool Menu but does not remove it from the site. Prev: How do I rename a Lessons page? Next: How do I delete a Lessons subpage?